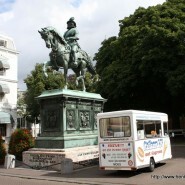 Ice cream vendor near the statue of William of Orange (a.k.a. 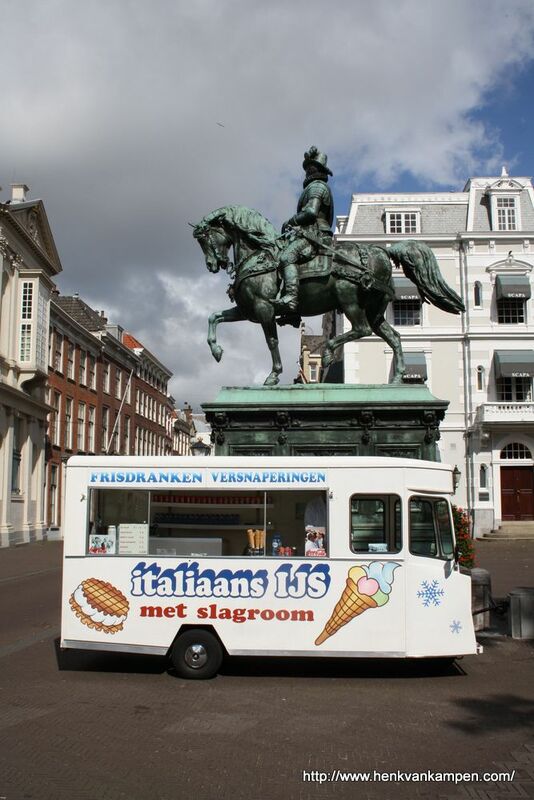 William the Silent) in front of the Noordeinde royal palace. 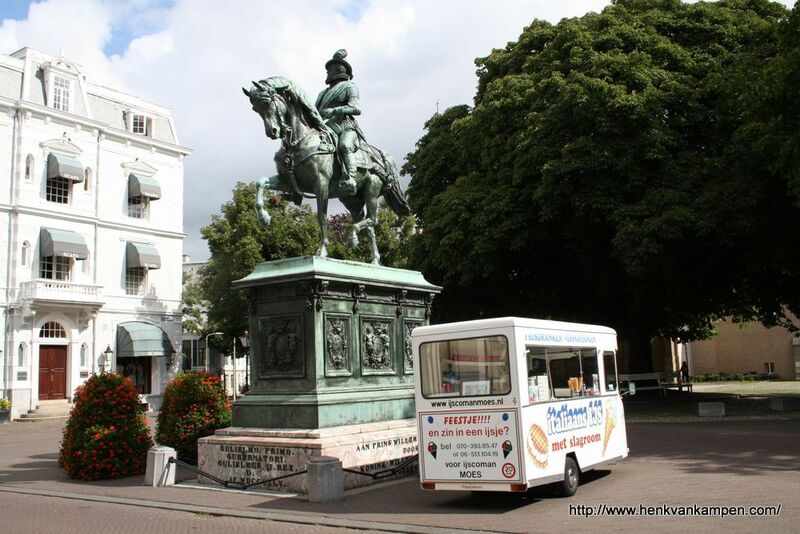 An ice cream vendor in front of the monument for William the Silent, on the Noordeinde street in Den Haag.